When you divorced, the court likely based your child support order on your income and your ex-spouse's income at the time, but you can pursue an increase in child support payments if your circumstances have changed, especially if your ex-spouse's income has increased significantly. In Texas, you can ask the court to modify your child support amount or the Office of the Attorney General's Child Support Review Process can help you with modification. To increase child support, you must modify the original support order. The Office of the Attorney General is the official child support enforcement agency for the state of Texas, so this office has broad authority over many aspects of child support. Child support orders may be modified through a court hearing or through the Attorney General’s Child Support Review Process, which is a negotiation process between you and your ex-spouse. Often, CSRP is faster than a court hearing, particularly when both parents agree to the increase. If you would like to have your order modified through CSRP, you can apply online to the Office of the Attorney General or contact the regional child support office for the county where you live. If you do not want to apply online, you may complete a request to have a paper copy of the application form mailed to you. This application establishes the Attorney General’s authority over your case; if you receive state benefits, you may already be registered. You must provide certain information, including previous child support orders, your contact information and your Social Security number. Time alone does not justify an increase in child support payments. The state of Texas considers child support modifications only when it has been at least three years since your last order and the amount of the modification would represent at least a 20 percent or $100 monthly difference from the most recent order. Alternatively, you can have your order modified when your circumstances have changed substantially and materially since your last order. For example, if one spouse suddenly received a large inheritance or won the lottery, you could request a modification on that basis. Your child support order can only be changed by another court order. Even if you and your ex-spouse agree about the modification, you do not have authority to change the child support order. However, typically the court will approve a modification upon which you both agree. For example, if you choose to go through CSRP, representatives from the Office of the Attorney General will file your agreement with the court for review by a judge. Once the judge signs off on it, the CSRP order becomes binding and has the same legal authority as an order obtained through the longer court hearing process. When unmarried, separated or divorced couples have children together, financial issues often become a source of stress or confusion. If the parent paying child support in Indiana — generally, the non-custodial parent — fails to pay or falls behind on payments, the custodial parent may need to pursue enforcement. Although parents can choose to make an informal financial arrangement, a court order increases the number of legal options available. 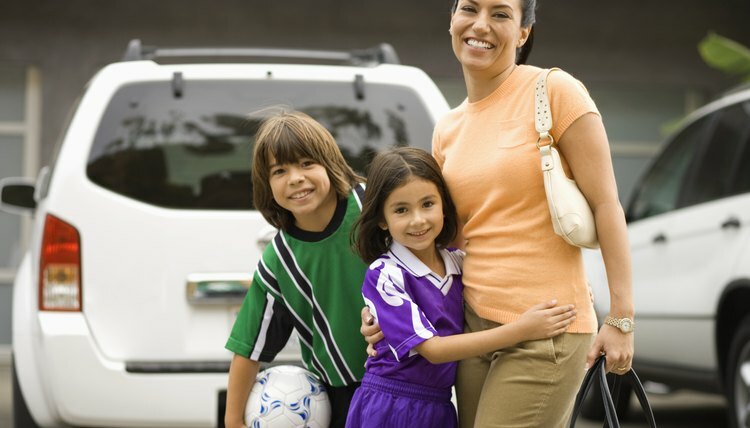 How Often Do the Courts Evaluate Child Support in Missouri?